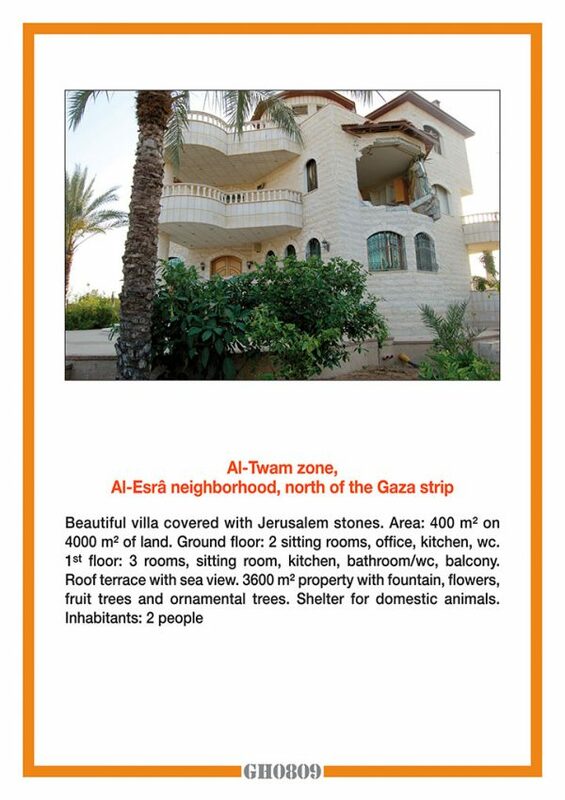 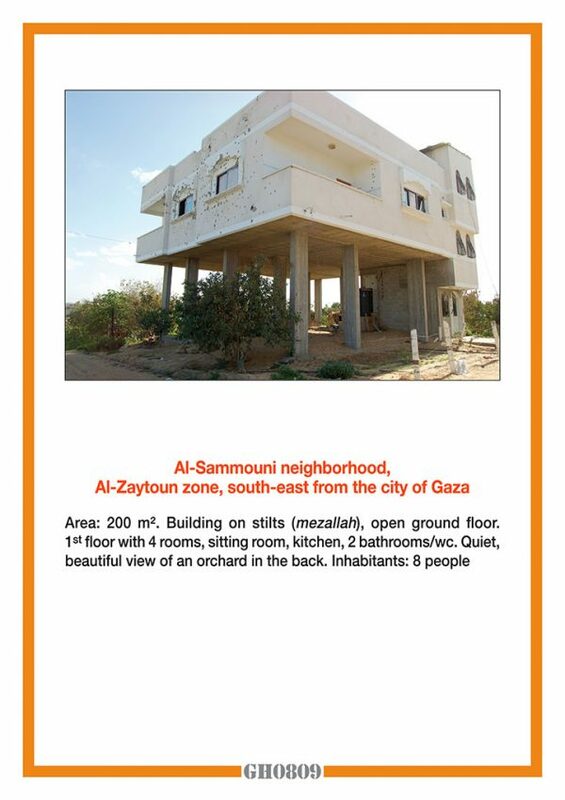 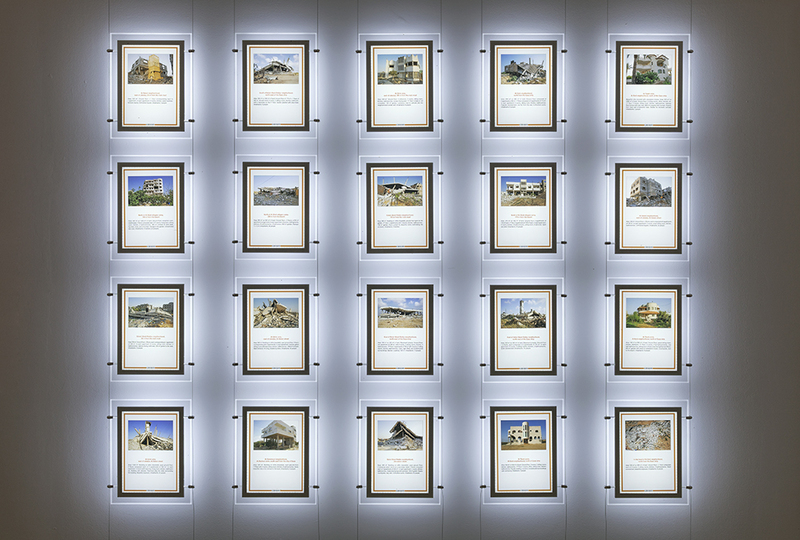 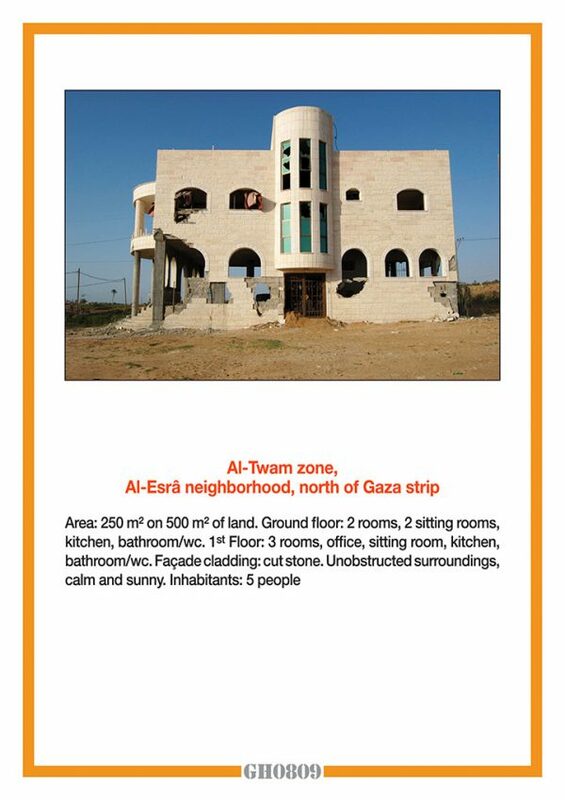 Taysir Batniji made the GH0809 #2 (Gaza Houses 2008-2009) series after Israel’s military operation against Gaza from December 27, 2008 to January 18, 2009, which left over 1,300 Palestinians dead —65% of them civilians— and 5,450 wounded. Infrastructure and houses were pounded into rubble. 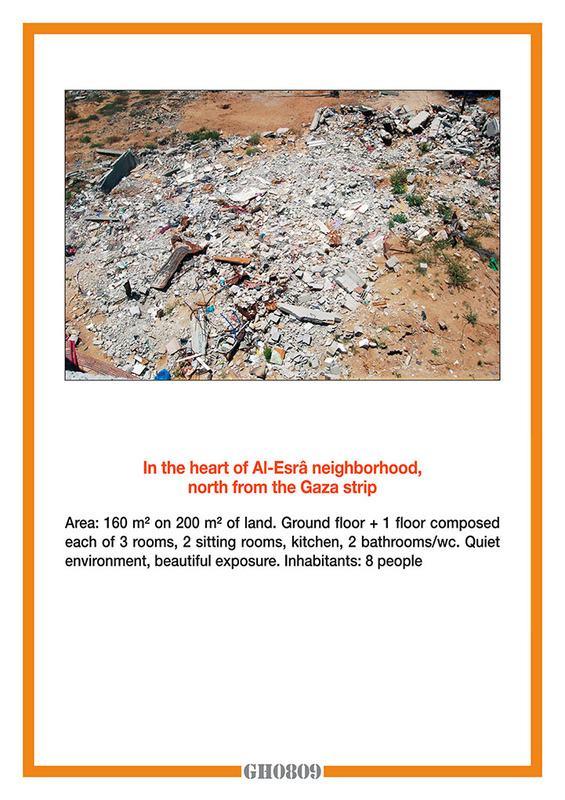 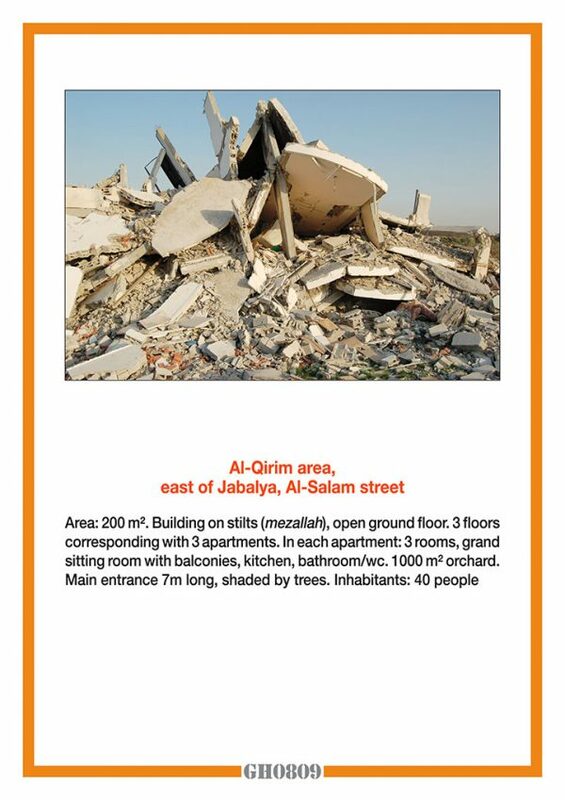 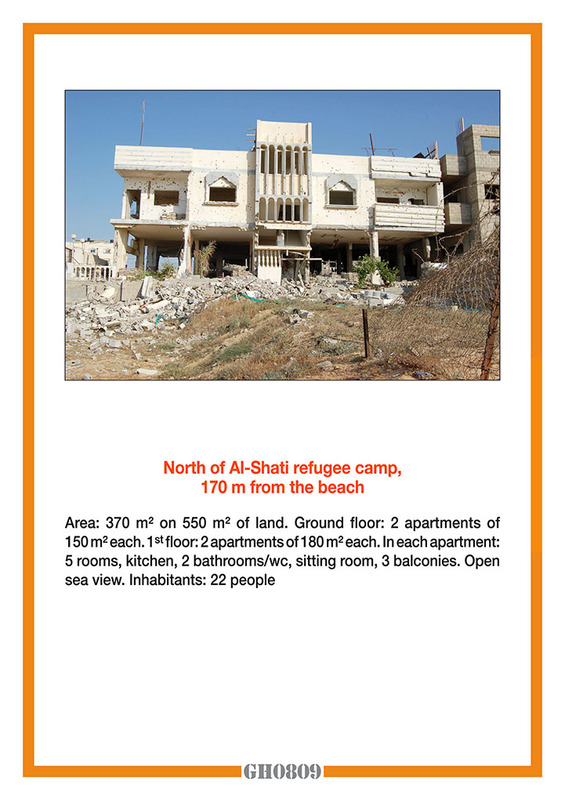 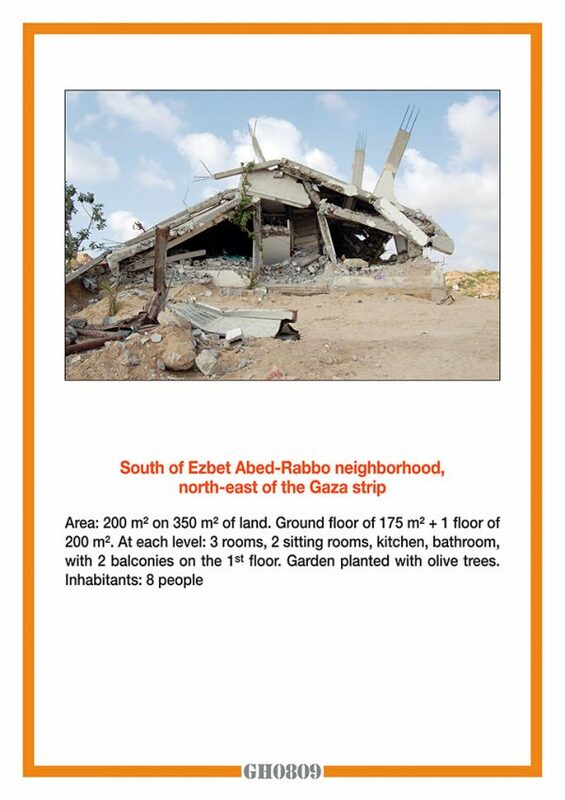 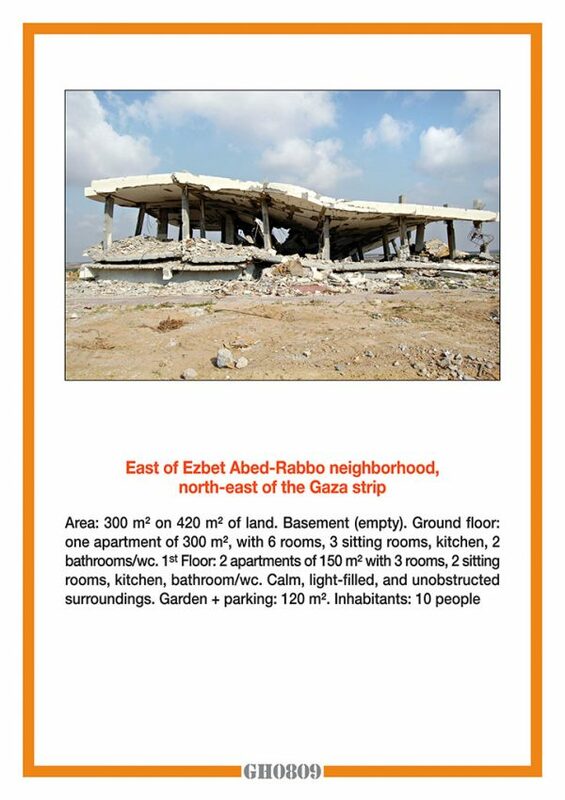 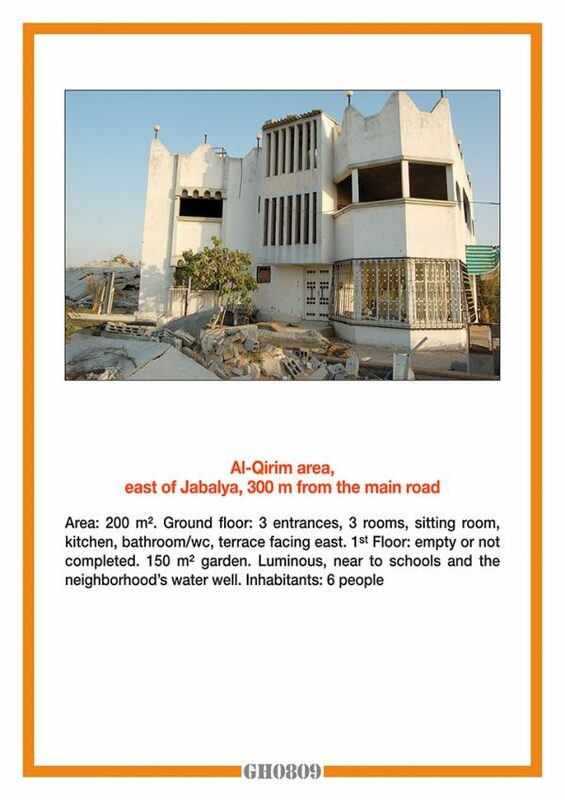 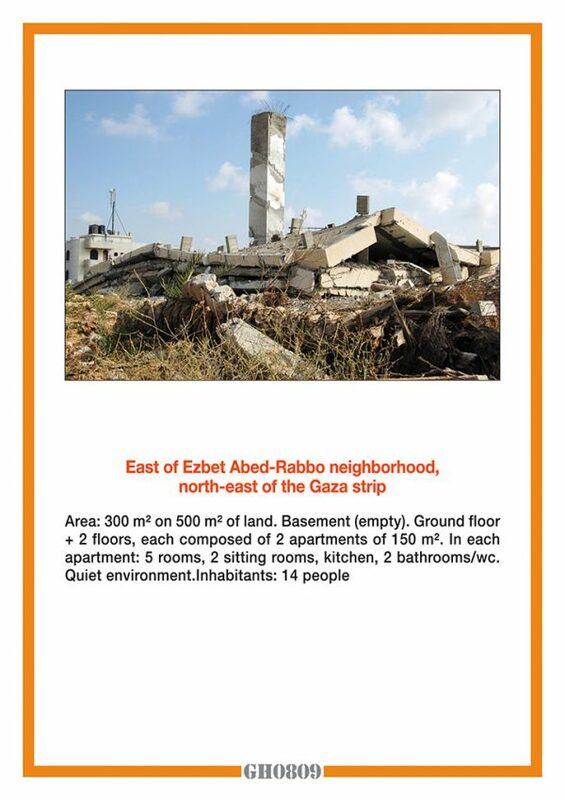 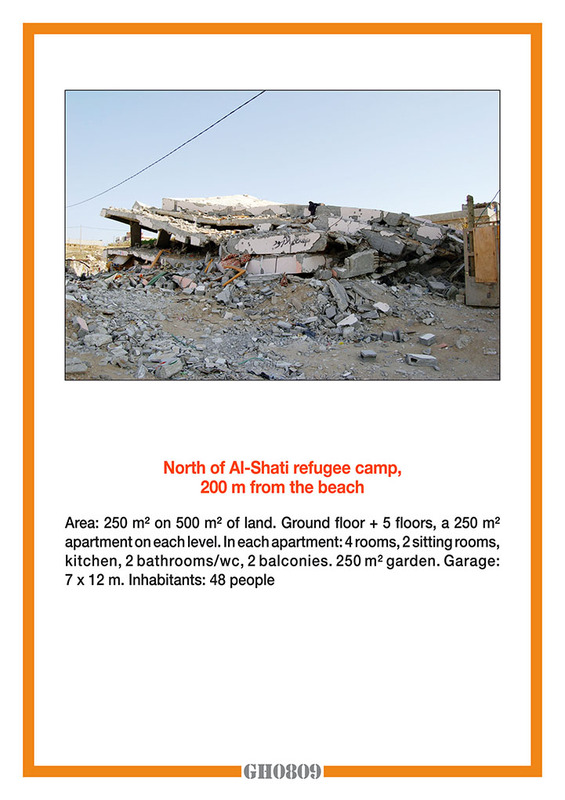 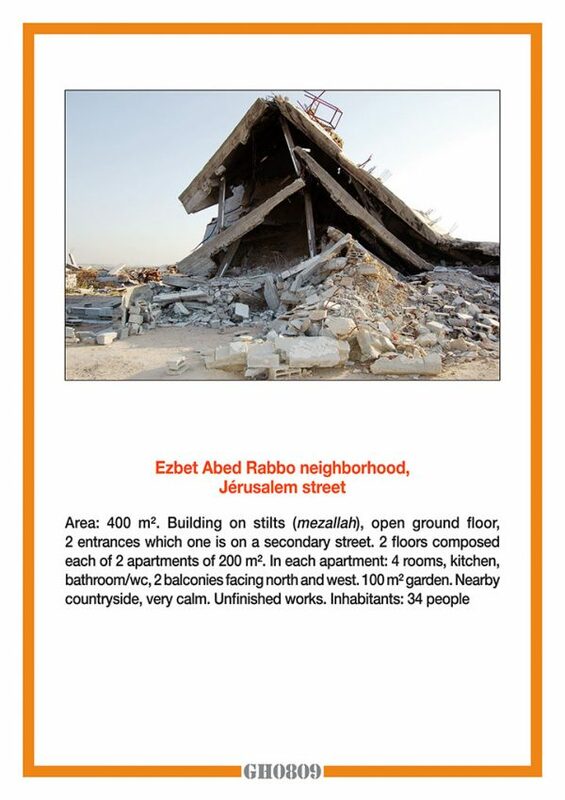 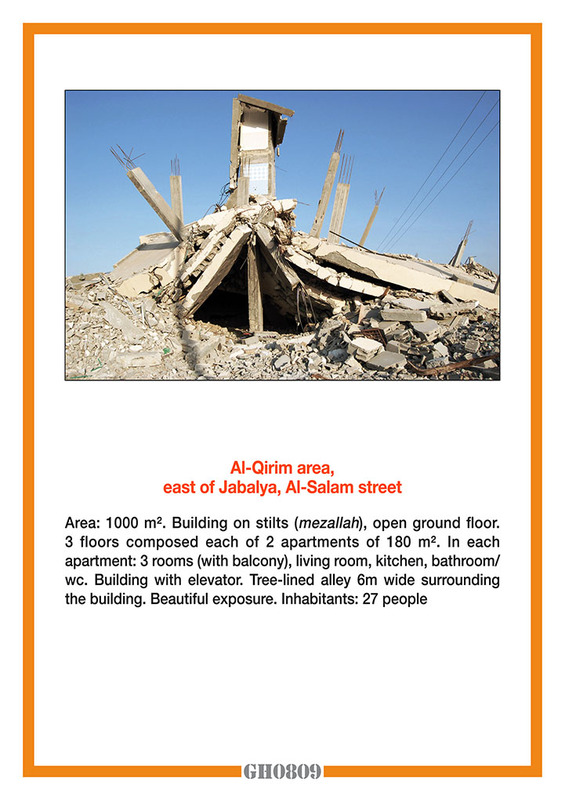 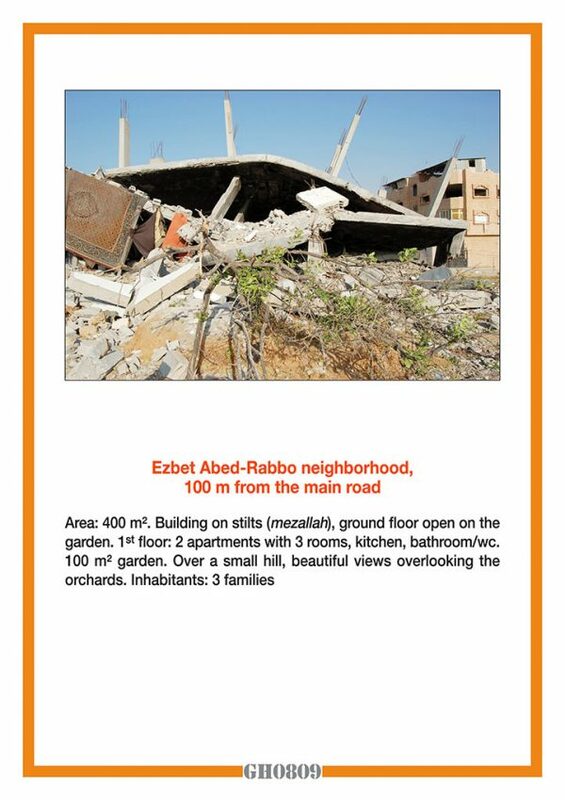 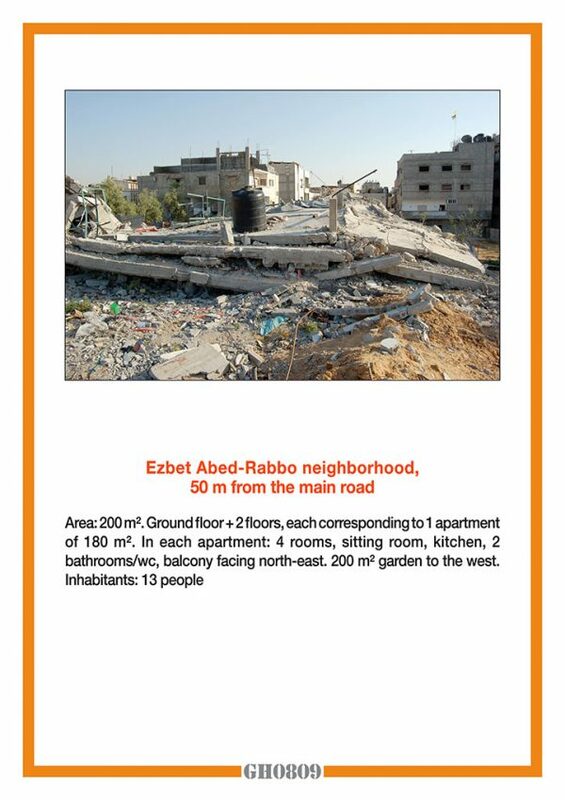 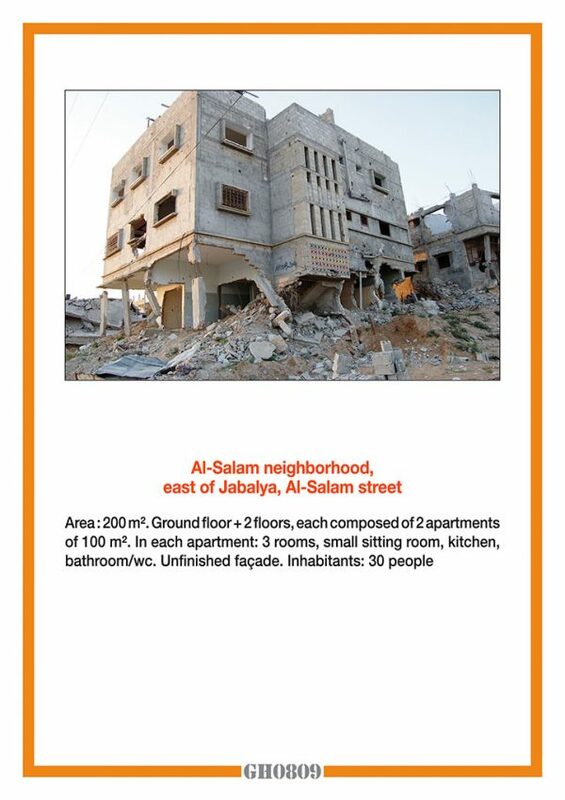 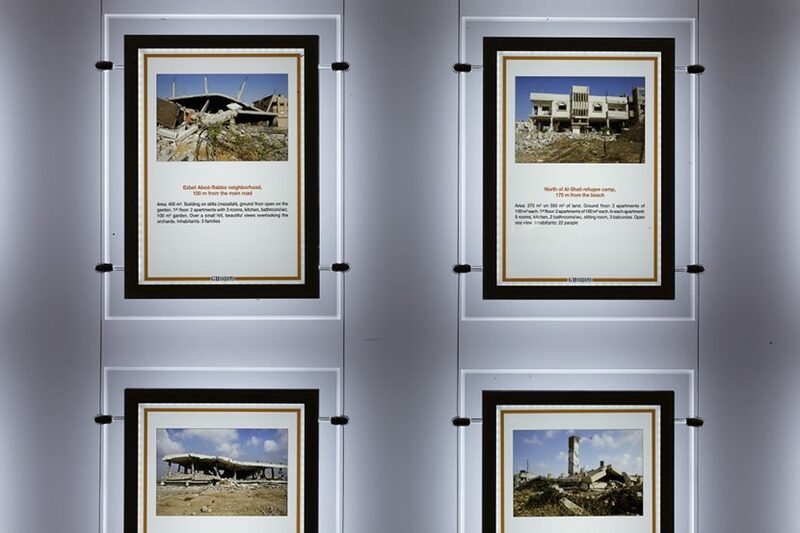 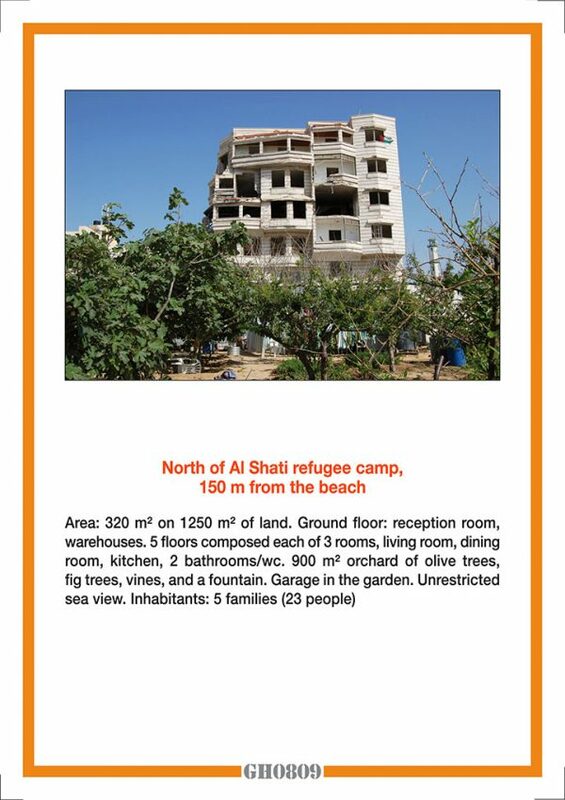 Unable to go home because of the blockade underway since June 2006, he asked journalist Sami al Ajrami to photograph, following detailed specifications, houses damaged by Israeli bombardments. Batniji then selected 20 images and displayed them like real estate ads. 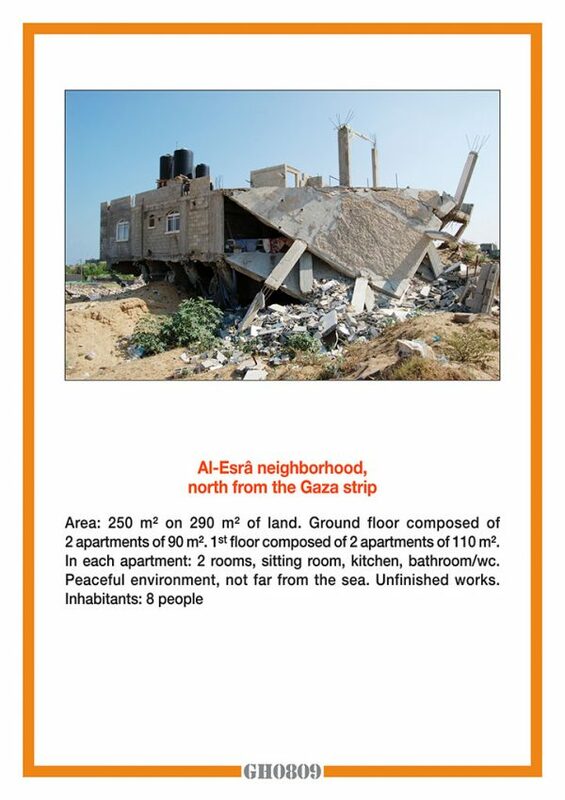 A detailed commentary below each one describes the house (area, number of rooms, orientation, number of occupants) with the aim of committing it to memory. 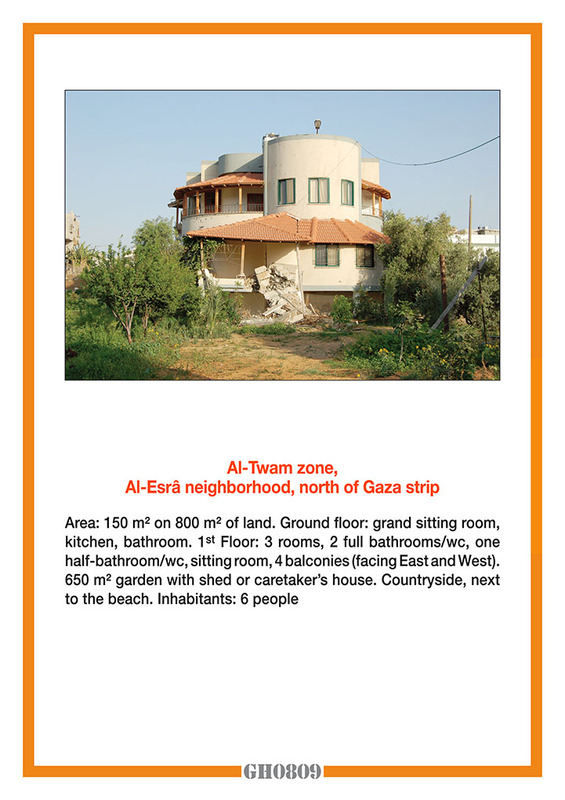 As in the Watchtowers series (2008), Batniji sought to create dissonance between an ultra-referenced, well-known form of representation and serious subjects specific to war reporting, offering an alternative, distanced, subjective reading of the news while trying to avoid not just the formatted discourse of information and clichés, but also a narrow circumscription of his work.